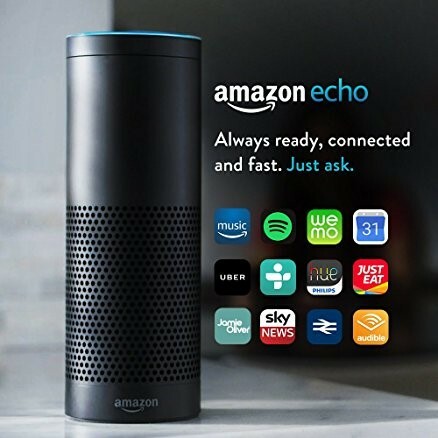 In the next few weeks I will be introducing Amazon Echo into my Computer Science classroom. I think the potential for this product could really invigorate the classroom. However, I think it is clear that some ground rules will have to be set for students, and naturally some settings will need tweaking, online ordering and payments for example. The last thing I want to do, is arrive home to 500 boxes of dog food courtesy of my students playful nature, for the record, I don’t have a dog 😉. For those who do not know, Amazon’s Echo suite of products are voice-controlled search devices that utilise Amazon’s Alexa. A Wi-Fi enabled Alexa allow the use of various apps and features via your voice, a simple prompt of Alexa, prompts the device to listen for an audible query from a user. Naturally, this is where you will need to set a few ground rules in the classroom and set expectations for use of Alexa. Perhaps this could also be used a reward mechanism for active questioning and answering sessions which take place during every lesson. I currently teach AQA’s Programming technical baccalaureate which requires students to develop mobile applications for cross platforms along with professional database solutions using the .Net framework. Therefore, I think the potential for Alexa in the classroom could be quite considerable for students. However, with that said, it doesn’t mean that Alexa is primarily for higher level computer science, far from it. I potentially see this being utilised for setting meetings, homework reminders, fetching student data or getting an agenda for the day and of course those subject related definitions simply via a voice prompt. I will be feeding back on basic commands and developmental tools over the weeks ahead.